Are you looking for the perfect oatmeal muffin? 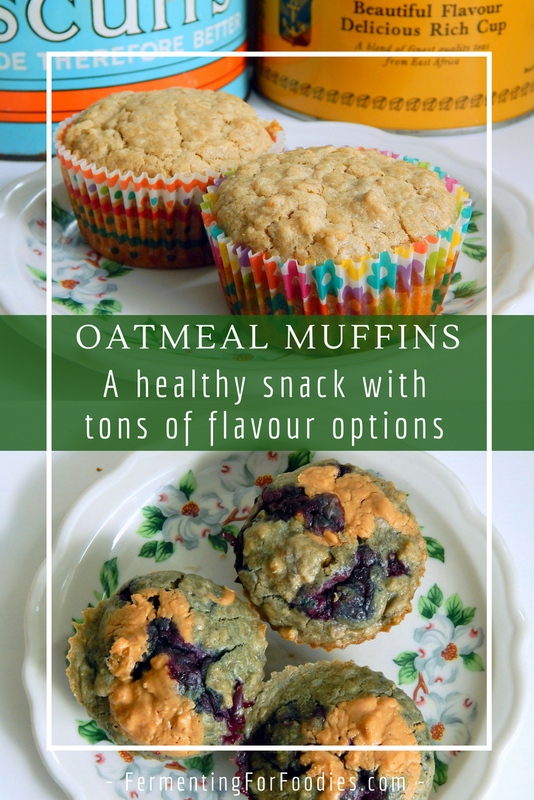 Prefermenting oatmeal results in a deliciously chewy and rich tasting muffin that is certain to become a new favourite! It’s a perfect muffin base for all sorts of different flavours. Best of all this muffin can easily be adapted to be gluten free and vegan. Mix the flour, oats and buttermilk in a glass container. 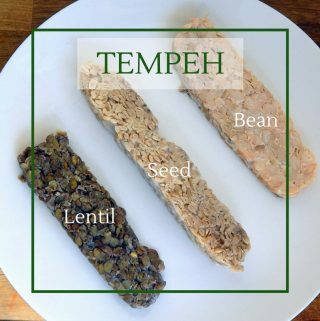 The oats need at least 1 hour to hydrate, or you can leave them for up to 24 hours for a preferment. 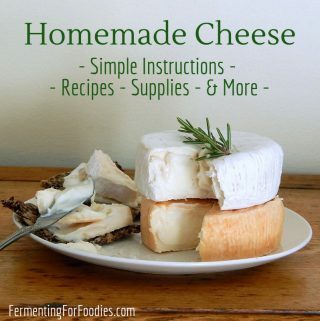 The next day preheat the oven to 400 F.
When the oven is preheated mix the remaining ingredients into the fermented batter. If you use wheat flour it will have developed gluten, so you will need to cut the ingredients into the dough to get it to mix thoroughly. Spoon batter into a muffin tin and bake for 18-20 min (until a skewer comes out clean). -The muffin batter can be cultured with any cultured dairy or dairy alternative. 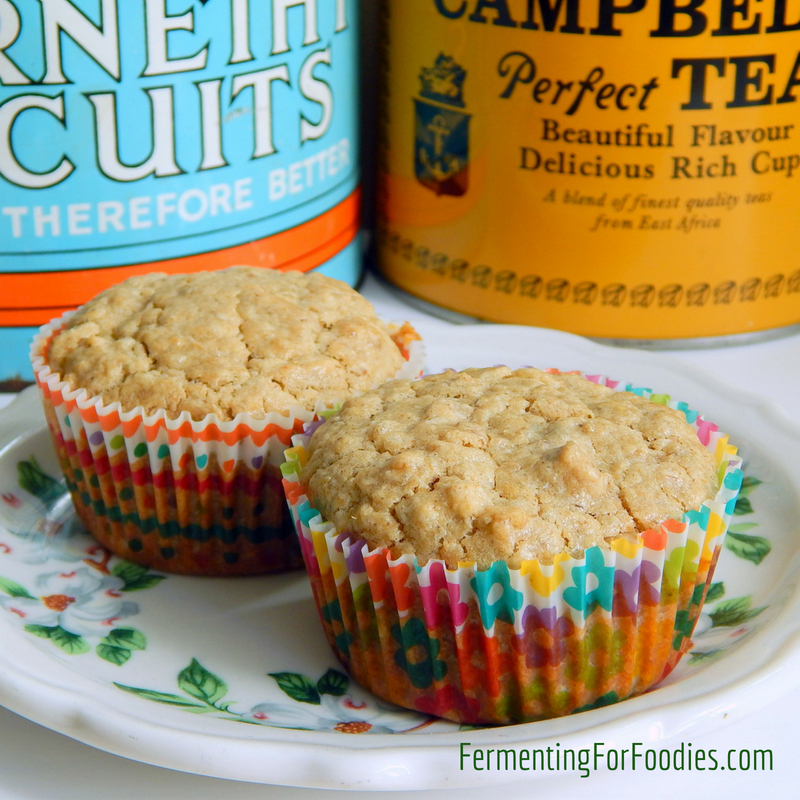 Yogurt, milk kefir, soy yogurt, nut milk yogurt are all great options.
. It’s easier to clean than the muffin tin, and it really helps with the stability of my gluten free & vegan baking. 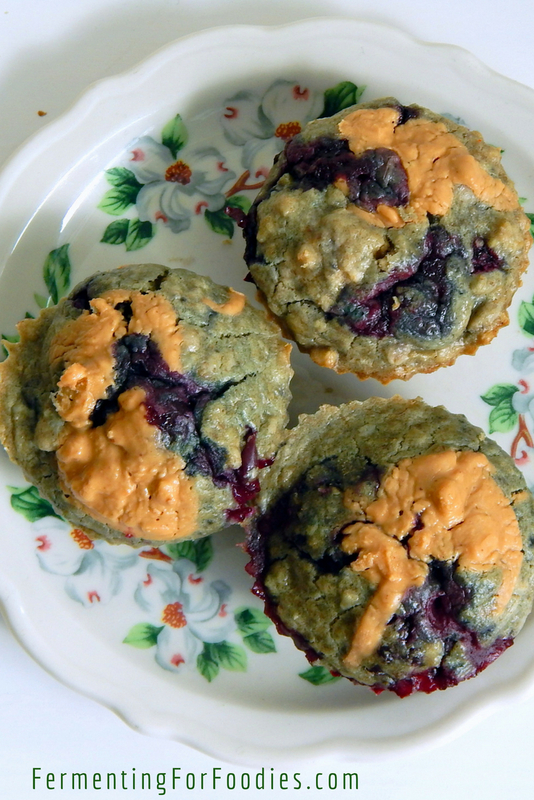 Really… there are endless ways to flavour muffins. Here are a bunch of sweet ideas to tempt you. If you are looking for something savoury, check out these cheese and onion muffins. Apple pie: Add 1/4 cup of grated apples, 1/2 tsp cinnamon, 1/4 tsp nutmeg and 1/8 tsp ground ginger to the batter. Chocolate cranberry: Stir in 1/4 cup of dark chocolate chips and 1/4 cup of fresh cranberries for a sweet and sour combination. Blueberry cream cheese: Mix a 1/4 cup of blueberries into the batter, then add 1 tbsp of cream cheese into the centre of each muffin. Lemon poppy seed: Add the zest of 2 lemons with 2 tbsp of poppy seed for this classic muffin flavour. Orangesicle: Add in the zest of 1 orange along with 2 tsp of vanilla extract. This is also nice with 1 tbsp of kefir cheese (or yogurt cheese) placed in the centre of each muffin. Nutty squirrel: Stir in 1/4 cup of chopped walnuts and almonds for a crunchy muffin. Hi there! What would happen if you added the sugar to the preferment? I suppose some of the sugar would get eaten away… and then…? What does that mean for the final product? Just curious! I think it would depend on the culture. 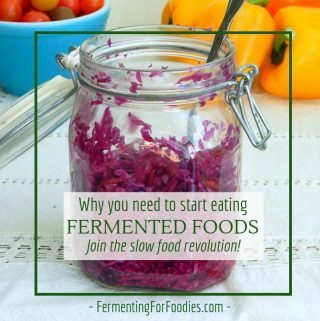 I think yogurt probably wouldn’t ferment sucrose, but kefir might? 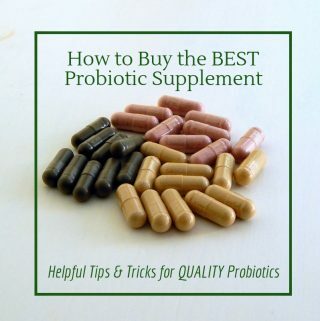 -Because of the lactic bacteria versus yeast/bacteria combo. Either way, it shouldn’t cause a problem. Let me know what happens if you try it!